Did You Know that Ffestiniog Travel has a comprehensive rail ticket service? Do you travel by train in Britain? 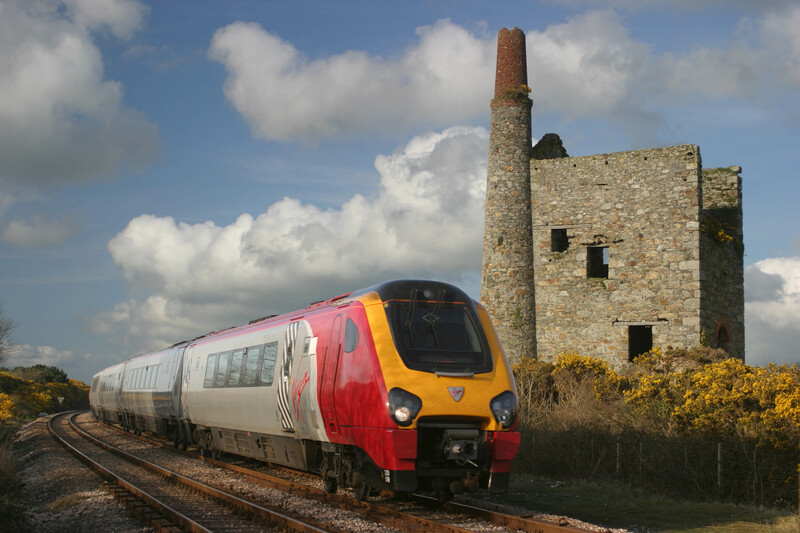 Ffestiniog Travel can supply the full range of UK Rail Tickets including Advance tickets, Off Peak and Anytime tickets. Whether you're travelling for business or leisure, from Edinburgh to Penzance or Reading to London we can issue your tickets and reservations. It doesn't matter how long or short your journey is. We can book advance purchase tickets and contact you when they are available. This saves you the worry of chasing elusive fares. If you have to travel via London, underground tickets can often be provided along with your train ticket to ease your journey. If your journey continues on Eurostar then ask us about "CIV" tickets. See our website www.myrailtrip.co.uk for more details or call us on 01766 772040 to discuss your requirements. Depending on the number of journeys you make per year, and the demographic you fall into, it can often be worth purchasing a railcard. Railcards are available for travel in the UK and in France and Germany, and offer substantial discounts. Sometimes it is worth purchasing a railcard for just one journey and our experienced consultants can advise and supply the most appropriate railcard for your needs. Our range includes the UK Senior Railcard for anyone aged over 60, 16-25 Railcard for anyone in the 16-25 age range and also to full time students of any age. Travelling with children (whether your own, the Grandchildren or friends') considerable savings can be made with the Family and Friends Railcard. Brand new this year the Two Together Railcard is available for any two travellers making a journey together. Also available are similar Railcards for travel in France. In Germany anyone can purchase a card to save 25%, 50% or even 100% on all journeys. Call us on 01766 772040 to purchase over the phone! Our dedicated website for rail ticket bookings www.myrailtrip.co.uk is regularly updated with special offers, such as a current offer on Thalys trains and an InterRail pass offer later in the year. The website features many suggested itineraries to inspire your next journey, whether you are looking for a scenic journey in anywhere in Europe, to follow in Michael Portillo's footsteps or a day trip out. There is a place to book your own ferry tickets. In the more information section find details of how to cross from station to station in Paris or London, train seating plans and metro maps to download, and a frequently asked questions (FAQ) section. The new Central Europe Triangle Pass is an exciting new rail pass which entitles the holder to take up to one month to travel around in a triangle through three exciting cities. Choose from the Vienna, Budapest and Prague triangle, or the Vienna, Salzburg and Prague triangle. 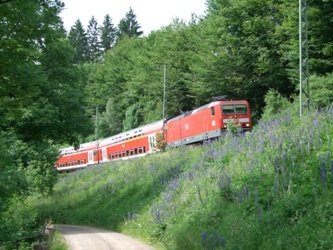 Through the www.myrailtrip.co.uk we also offer a full range of rail passes to cover many different journeys. 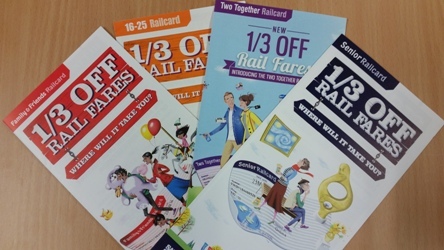 Our dedicated consultants will always check your itinerary to see if a rail pass will be economical for your journey. Whether you are travelling in one country, all around Europe, or in Japan or the United States of America we have a pass for you. InterRail isn't just for students! Deutsche Bahn offer a range of tickets valid for unlimited second class travel on all IRE, RE, RB, SE and S-Bahn local trains either across the whole of Germany or for individual regions. The Schönes Wochenend Ticket is a weekend pass valid from 00.00 Saturday or Sunday to 03:00 the following day for up to five people travelling together. The Quer-durchs-Land Ticket is a Monday to Friday version, valid for one day from 9am. German Länder (states or regions) each have day rail passes with similar conditions. These "Tageskarte" are valid on all regional trains (IRE, RE, RB, S-Bahn, including non-DB operators) in second class on Mondays to Fridays from 09:00 to 03:00 next day and all day from midnight to midnight at weekends. Tickets are not valid on long-distance services such as ICE, InterConnex or on tourist railways. There are too many variations to list here so please visit our website to find the most appropriate ticket for your German travels. For 140 years Thomas Cook produced the "European Rail Timetable" which covered rail times throughout Europe. Unfortunately in 2013 Thomas Cook decided to close the publishing arm of their business and rail travellers across Europe have missed the timetable. 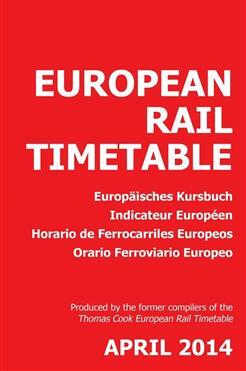 All is not lost however, in March 2014 five of the timetable compilers from Cook's started producing a new "European Rail Timetable". The new timetable contains all the information that was in the old Thomas Cook version as well as a new "Route of the Month" feature from the editors of Hidden Europe magazine. Our new section on our website, in conjunction with the editors of both Hidden Europe Magazine and European Rail Timetable, will detail the tickets required for each "Route of the Month". If you have any travel questions, need a rail ticket from the airport to your destination or have a personal rail holiday in mind, Ffestiniog Travel services extend to more than escorted rail tours. 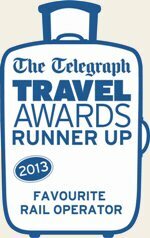 Visit our ticket only website www.myrailtrip.co.uk for more information or call us on 01766 772050 or email info@ffestiniogtravel.co.uk with your queries.